A proper estate plan is an investment in your future and the future of your loved ones. Our expert attorneys can help you build and preserve your legacy. An effective business success or plan will assure continuation of your business. We pride ourselves on custom tailoring each estate plan to fit the needs of our clients while providing the best estate plan and estate tax planning possible. The Law Offices of Robin Clark Bevier & Associates, PC is dedicated to providing quality estate planning services. We make certain that we explain the complexities of the estate plan and the tax laws so our client understands the available options and can make informed decisions for estate planning documents. Our attorneys prepare wills, living trusts, durable powers of attorney for health care (advance health care directives), durable powers of attorney for financial matters, deeds transferring real estate, as well as irrevocable trusts (gift trusts, generation-skipping trusts, education trusts, special needs trusts, qualified personal residence trusts, and charitable trusts). We recognize the importance of insuring your family’s future security through proper estate planning. More importantly, proper planning will provide you a peace of mind knowing you have planned for your family and your future. Our extensive and positive relationships with other professionals (accountants, insurance professionals, and financial advisers) adds to our strong reputation and makes our firm one of the most highly acclaimed in the region. Our experienced attorneys work with clients through all phases of business planning. We assist you through the entire process, including choosing and forming the entity as well as continued compliance, and preparing the appropriate business agreements (i.e. Bylaws, Operating Agreement, Employment Agreement, and Buy-Sell Agreement/Shareholder Agreement). It is important to determine whether a corporation, LLC, or partnership is the right choice for your business before working through the complicated steps of incorporation, LLCs and partnerships. For some businesses, the sole proprietorship may still be the best business entity, and our attorneys will help you determine what is best for your business and see you through all phases of that choice and the creation and compliance. Proper business succession planning is an integral part of your estate and retirement planning. The proper planning for your business will maximize retirement income and reduce income and estate taxes. Our attorneys are experienced in counseling for strategies of succession of a business, whether sale to a third party or a key employer or as part of family succession. We want you to realize and receive all your “sweat equity” when you eventually decide to retire. Courtesy of Elliott M. Harry. 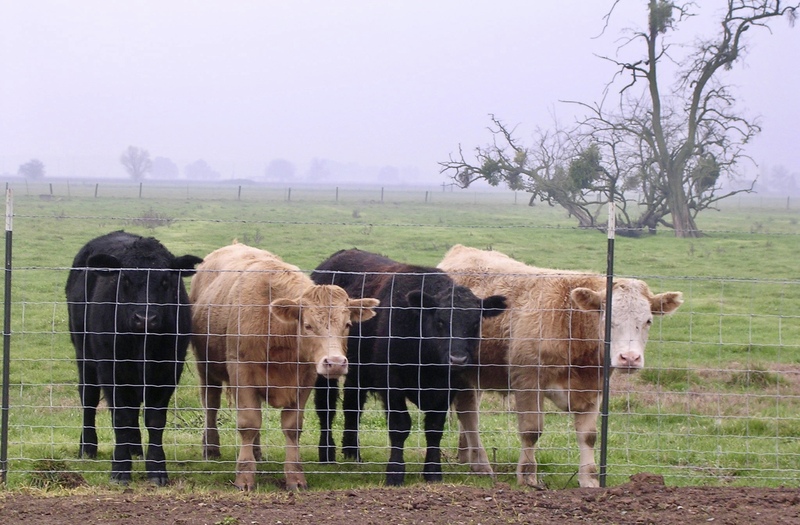 Our firm has deep roots with the agricultural community in Northern California. We work closely with our clients to ensure we solve the complex challenges and meet the special needs of the agri-business industry . The Law Offices of Robin Clark Bevier & Associates, PC have attorneys with practical experience in Agricultural Business and the complex challenges that this industry faces. Our clients range from traditional family farming businesses to large scale agricultural business enterprises. We recognize the importance of optimizing operations and overcoming the day-to-day challenges. Our familiarity with the agricultural industry ensures that we provide the proper planning for a profitable business for years to come. Appoint a trusted person to be able to make financial or medical decisions on your behalf in the event of unexpected temporary or expected permanent incapacity. Estate Planning is not just about helping manage your property. It is about transferring values, traditions, and assuring security. It is about assuring your assets create new opportunities and making sure your loved ones are happy and healthy for years to come. Sacramento's premier probate firm, the Law Offices of Robin Clark Bevier &Associates, PC brings peace of mind protection. Allow our trusted and experienced attorneys to make sure your family is in good hands. Law Offices of Robin Clark Bevier & Associates, PC are experts in the field of probate law and can help ensure this process is taken care of thoroughly and positively. Thrive knowing your assets and family are both protected. Estate planning reaches everything we do. A proper estate plan is an investment in your future and the future of your loved ones. Our expert attorneys at the Law Offices of Robin Clark Bevier & Associates can help.